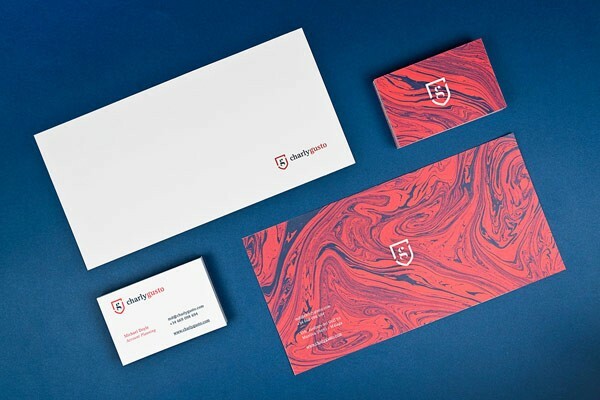 Corporate identity design and marbled stationery with a significant British touch created by Mubien Studio for Charly Gusto. 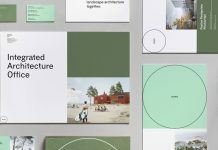 Santander, Spain based Mubien Studio was commissioned to develop a brand identity for Michael Doyle also known as Charly Gusto. 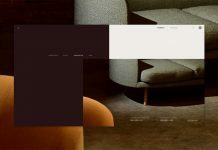 The professional marketing expert asked for a noble design that reflects his personal strengths as well as his British origin. 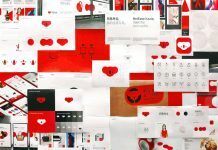 Furthermore, he was looking for something special for his business cards, something that keeps in mind and that stands out. 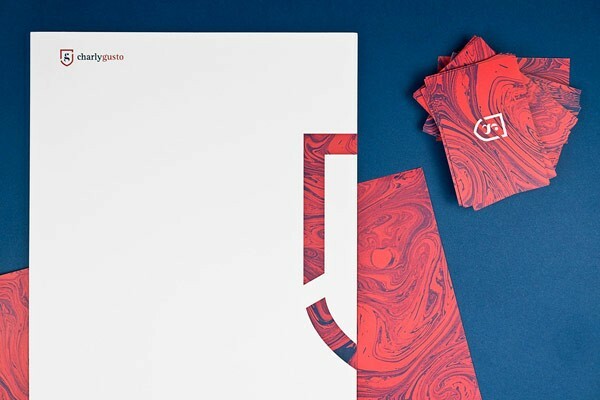 Corporate identity and marbled stationery with a British touch created by Mubien Studio for Charly Gusto. In a first step, Mubien Studio designed a mark based on the CG initials along with a classic lettering for the logotype, which is based on serif lovercases. 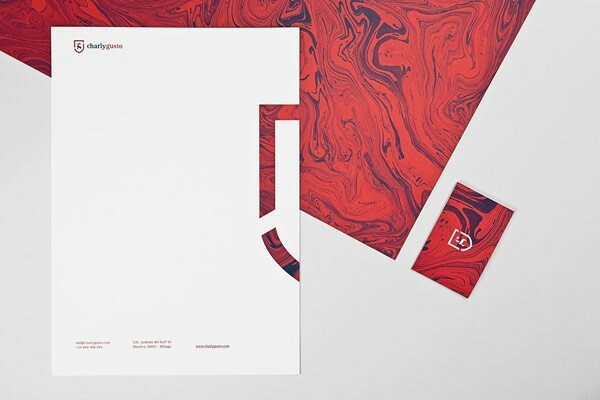 As a particularly striking feature of the corporate identity, Mubien Studio has created a marbled paper texture. 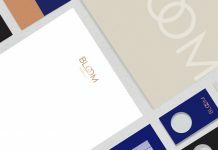 They designed 40 different business cards with this handmade texture. 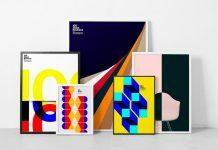 To see some examples of Charly Gusto’s visual identity, just have a look at the pictures below. 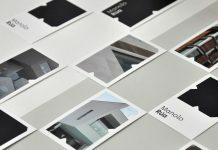 For further information about Mubien Studio, feel free and visit their website. 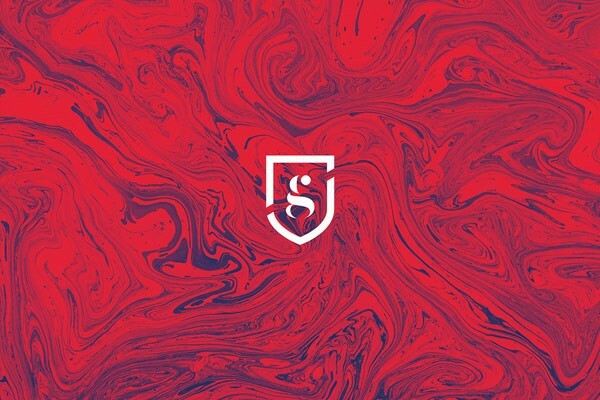 Brand mark on marbled background. The meticulous logo design for Charly Gusto. 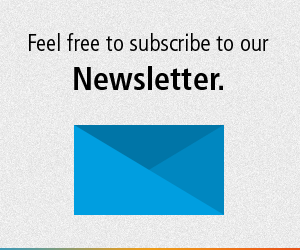 Mark and logotype on white background. Mark and logotype on blue background. 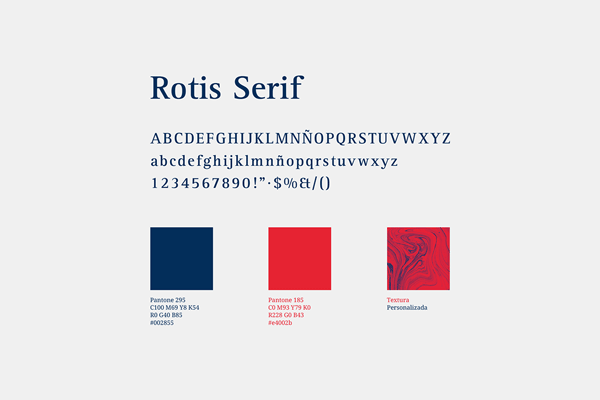 Corporate typeface and corporate colors. 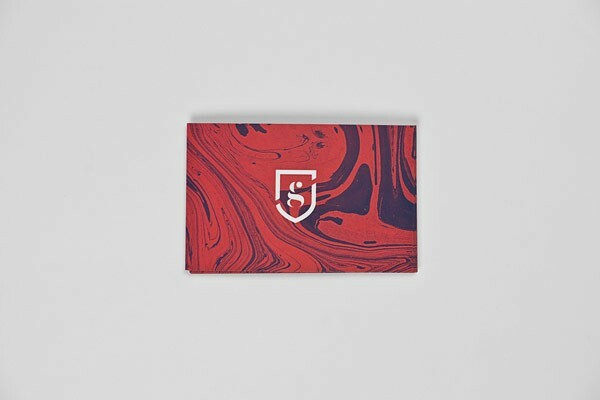 The marbled business card design. 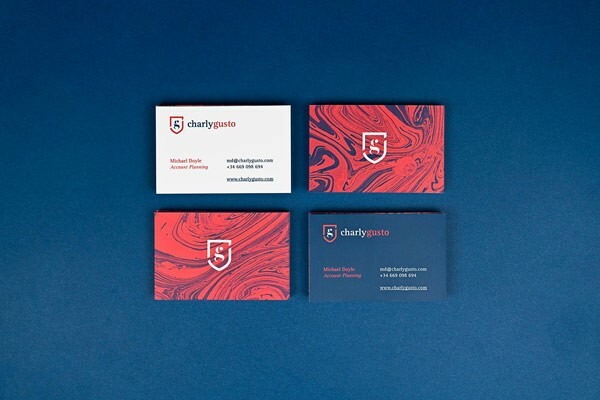 Business cards for Charly Gusto, a marketing professional with a British origin. 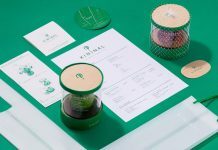 Charly Gusto corporate design developed by Mubien Studio. 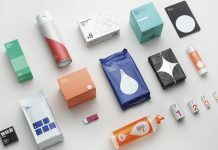 The stationery set including letterheads and business cards.